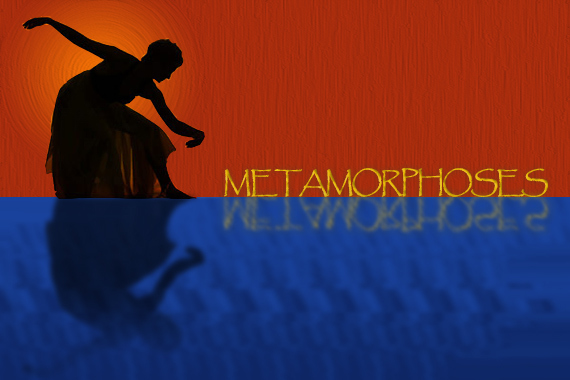 (BEAVER FALLS, PA) – Geneva College presents “Metamorphoses” by Mary Zimmerman in the Bagpiper Theater on February 21, 22, 23, 28, and March 1 and 2 (8 total perfomances). With eight total performances, evening shows will begin at 7:30 p.m. Saturdays will feature a matinee at 2 p.m. and an evening performance at 7:30 p.m. Doors open a half hour before the show. Tickets are $8 for general admission, $5 for Geneva students, faculty, and staff, children under the age of 12, and seniors. Tickets are on sale now and can be purchased by calling 724-847-5099. This play, which was nominated for a Tony Award for Best Play, is based on a famous collection of transformation myths – Metamorphoses (“Book of Transformations”) – by the Roman poet Ovid (43 BC – 18 AD). Zimmerman created the show to blend the ancient stories of pathos and tragedy with contemporary language, humor and thought. This show offers a new way to understand and emphasize the transforming powers of memory and the imagination. The play expresses poignantly the themes of love, loss, dreams, fidelity, faith and the inevitability of change. Geneva College is a Christ-centered academic community that provides a comprehensive education to equip students for faithful and fruitful service to God and neighbor. Offering over 115 traditional undergraduate majors and programs, fully online Adult Degree Programs and high-demand graduate degrees, Geneva’s programs are recognized for their high quality. U.S. News & World Report ranks Geneva as a Top Three Best Value Regional University with one of the top engineering programs in the nation. Adhering to the truth of Scripture, a Geneva education is grounded in God’s Word as well as in a core curriculum designed to prepare students vocationally to think, write and communicate well in today’s world.